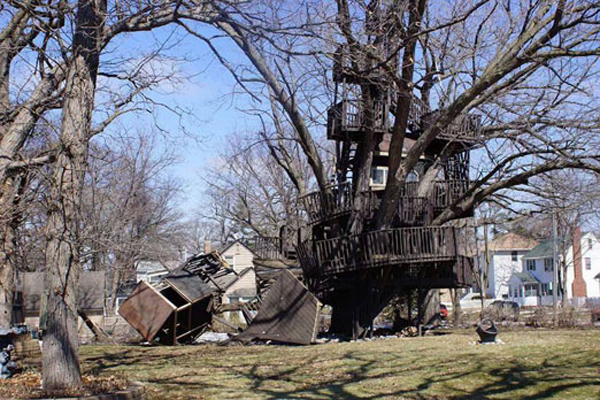 An incredible story is behind this treehouse, but unlucky without happy ending! In 1974 Mr. Tucker promised his son to build a treehouse, but he never maintain the promise. 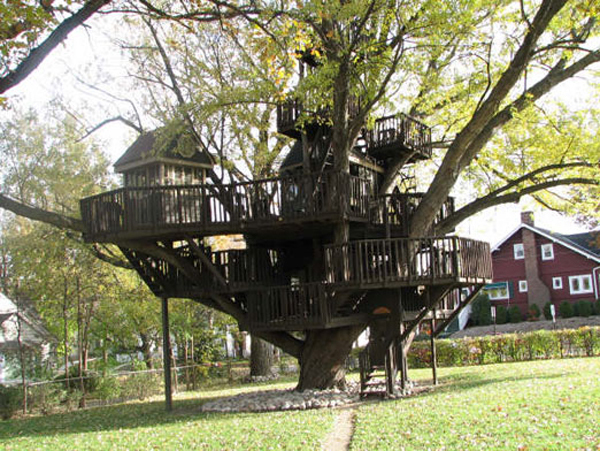 Just in 1986 he started to build the treehouse in Minnetonka Blvd in Minnesota (USA). But that was the beginning f the end for Mr. Tucker. After different months of court cases regarding the treehouse, Mr. Tucker finally could live the treehouse, even if with limitations. In 2014 part of the house felt down and in 2015 he was definitively asked to destroy the treehouse. The last board was taken down on 31. October 2015. This was the end of this sad story. Pics by St Louis Park. All rights reserved.